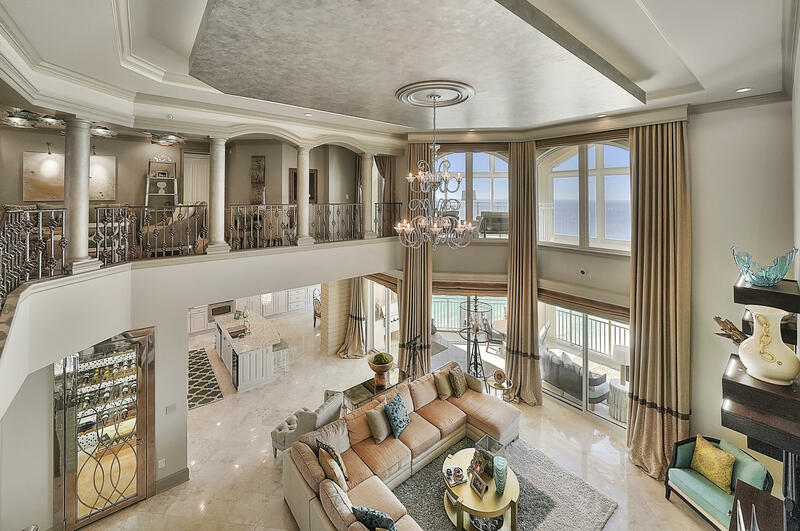 ''THIS IS THE FINEST PENTHOUSE ON THE EMERALD COAST''. Gorgeous coastline views from this 6BR/5.5BA, multi-story Penthouse in Grand Dunes South Tower. One of only ''5'' Penthouses in the entire development, this gorgeous villa is the second largest at almost 5,000 sq.ft and has been professionally designed and decorated by one of the areas ''Top Designers'' with custom touches throughout every room. The kitchen features Vestrostone Countertops, custom cabinetry, soft-close drawers & eat-in dining area with amazing unobstructed direct westerly views! This gorgeous Penthouse also offers two levels of private gulf front balconies, with the main level balcony having a built-in stainless steel natural gas grill and all of this is protected by ''Hurricane Shutters''!